Vulcan: linchpin member of the United Federation of Planets. Home to a civilization dedicated to o'thia, the ruling ethic of pure logic. But it was not always so; thousands of years before, Vulcans were a violent, warlike race, with tempers surpassed only by the planet's hot, arid sands. The philosopher Surak would show his people another way, teach them to reject their emotions and embrace logic and knowledge. The Vulcans would evolve and prosper, eventually exploring the stars and attaining further enlightenment as they encountered other cultures. In the twenty-third century, Commander Spock, Captain Kirk, and the U.S.S. Enterprise are summoned to Vulcan when its people consider seceding from the Federation and returning to their isolationist ways. Vulcan's savage history becomes fully revealed as Spock, his father Sarek, and Kirk work to preserve the planet's future from anti-Terran factions with hidden agendas. The crisis is twofold for the half-human Spock -- should Vulcan secede, he will be required to resign from Starfleet and return home, or forever sever ties with his homeworld. 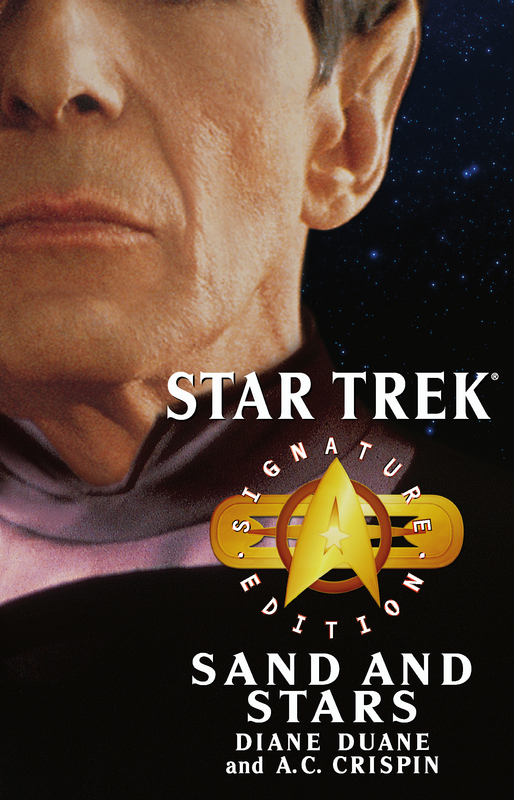 Years later, a decades-old plot to destroy the Federation from within forces Ambassador Sarek from the bedside of his dying wife, Amanda. The ambassador's decision widens the long-standing rift between himself and Spock at a time when they must pool their resources together. While the Enterprise crew contends with Romulans, Klingons, and the mysterious Freelans, Sarek's only comfort comes from reading Amanda's journals, which reveal more about his human spouse, his son, and himself than he ever realized.